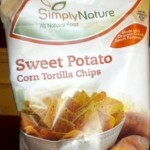 I’m a pushover for crunchy snacks and these organic tortilla chips caught my eye at Aldi. I loved the nutty flavor and hearty texture, which is a bonus for dips and salsa. 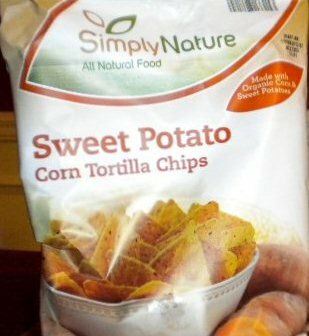 After trying these new chips, I was inspired to dig a little deeper into the sweet potato story. This humble potato has traditionally filled the role as one of the best-loved sides or desserts on the holiday table. This tuber started out as a simple side, most often baked in the skin and served with a dot of butter. 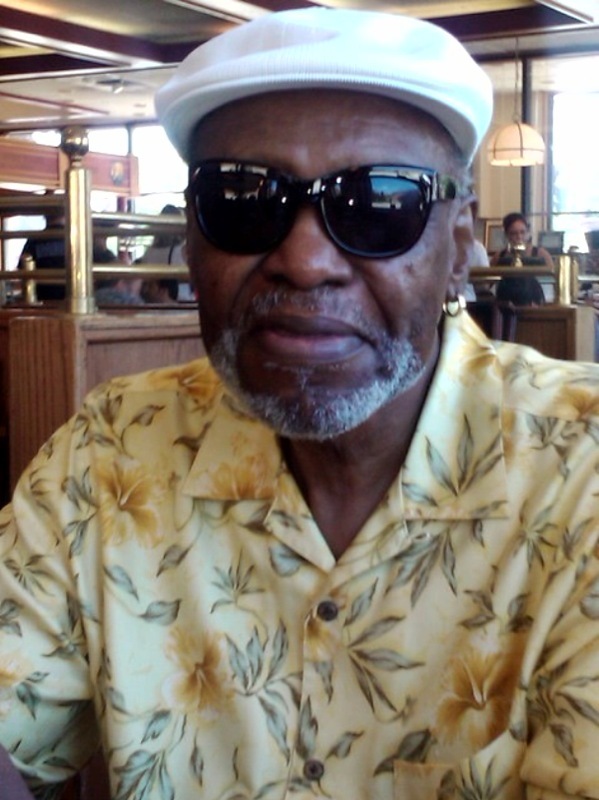 The sweet potato was taken for granted and wasn’t given a lot of respect. But with today’s focus on wholesome eating and good nutrition, the sweet potato has moved to the top of the heap as a power food. The potato itself is low-fat—it’s the ingredients we add that tilt the scales in the opposite direction. The sweet potato is high in beta carotene and vitamins A and C; a good source of manganese which helps control blood sugar; an excellent source of anti-oxidants, carbohydrates and fiber. With its high profile “power food” status, the sweet potato is showing up on restaurant menus and in grocery stores in a bushel of products. 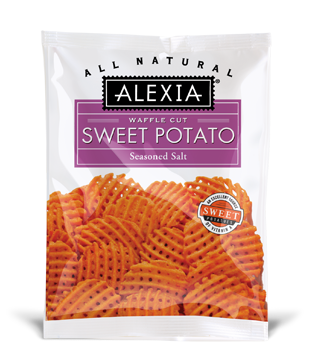 In the frozen food aisle you’ll find sweet potatoes as fries, puffs, mashed and waffle cut, along with pies and pie filling. 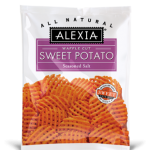 On store shelves you’ll find sweet potato chips, sweet potato tortilla chips, sweet potato pound cake mix and more. Sweet potatoes are in demand and growing more popular every day. Just remember as you reach for this potato keep the preparation simple–that’s the best way to reap the benefits that make it so good for you. What’s your favorite sweet potato recipe, dish or snack? Share your favorites below and watch for your suggestions in November. 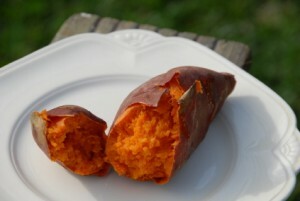 Anything sweet potato is great for me. 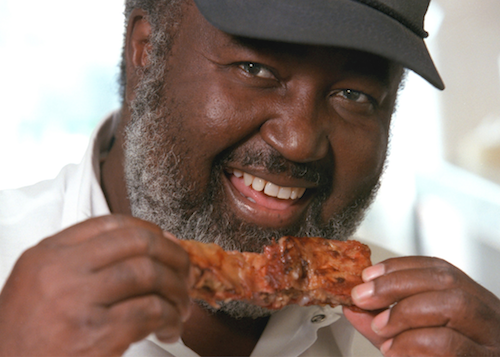 I adore how it tastes around this time of year especially. Thanks Jocelyn. Most of my faves tend to be desserts—better balance those out with a couple of vegetable recipes. 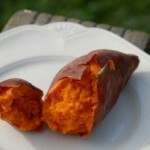 I love sweet potatoes the way we ate them growing up—just baked, split open and served with butter and lightly salted. oh YES! Thanks for sharing. 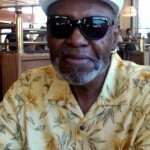 Love baked too—enjoyed Sunday with roast turkey and vegetable side.